Of all the rare gases, argon is present in the greatest amount. It makes up about 0.9 percent by volume of Earth's atmosphere. The other noble gases are present in such small amounts that it is usually more convenient to express their concentrations in terms of parts per million (ppm). The concentrations of neon, helium, krypton, and xenon are, respectively, 18 ppm, 5 ppm, 1 ppm, and 0.09 ppm. For example, there are only 5 liters of helium in every million liters of air. By contrast, helium is much more abundant in the Sun, stars, and outer space. In fact, next to hydrogen, helium is the most abundant element in the universe. About 23 percent of all atoms found in the universe are helium atoms. kits are commercially available for testing the radon content of household air. Most of the rare gases are obtained commercially from liquid air. As the temperature of liquid air is raised, the rare gases boil off from the mixture at specific temperatures and can be separated and purified. Although present in air, helium is obtained commercially from natural gas wells where it occurs in concentrations of between 1 and 7 percent of the natural gas. Most of the world's helium supplies come from wells located in Texas, Oklahoma, and Kansas. Radon is isolated as a product of the radioactive decay of radium compounds. The noble gases are all colorless, odorless, and tasteless. They exist as monatomic gases, which means that their molecules consist of a single atom apiece. The boiling points of the noble gases increase in moving down the periodic table. Helium has the lowest boiling point of any element. It boils at 4.215 K (−268.93°C). It has no melting point because it cannot be frozen at any temperature. The most important chemical property of the noble gases is their lack of reactivity. Helium, neon, and argon do not combine with any other elements to form compounds. It has been only in the last few decades that compounds of the other rare gases have been prepared. In 1962 English chemist Neil Bartlett (1932–) succeeded in preparing the first compound of a noble gas, a compound of xenon. The compound was xenon platinofluoride (XePtF 6 ). Since then, many xenon compounds containing mostly fluorine or oxygen atoms have also been prepared. Krypton and radon have also been combined with fluorine to form simple compounds. Because some noble gas compounds have powerful oxidizing properties, they have been used to synthesize other compounds. The low reactivity of the noble gases can be explained by their electronic structure. The atoms of all six gases have outer energy levels containing eight electrons. Chemists believe that such arrangements are the most stable arrangements an atom can have. Because of these very stable arrangements, noble gas atoms have little or no tendency to gain or lose electrons, as they would have to do to take part in a chemical reaction. As with all substances, the uses to which the noble gases are put reflect their physical and chemical properties. For example, helium's low density and inertness make it ideal for use in lighter-than-air craft such as balloons and dirigibles (zeppelins). Because of the element's very low boiling point, it has many applications in low-temperature research and technology. Divers breathe an artificial oxygen-helium mixture to prevent the formation of gas bubbles in the blood as they swim to the surface from great depths. Other uses for helium have been in supersonic wind tunnels, as a protective gas in growing silicon and germanium crystals and, together with neon, in the manufacture of gas lasers. Neon is well known for its use in neon signs. Glass tubes of any shape can be filled with neon. When an electrical charge is passed through the tube, an orange-red glow is emitted. By contrast, ordinary incandescent lightbulbs are filled with argon. Because argon is so inert, it does not react with the hot metal filament and prolongs the bulb's life. Argon is also used to provide an inert atmosphere in welding and high-temperature metallurgical processes. By surrounding hot metals with inert argon, the metals are protected from potential oxidation by oxygen in the air. Krypton and xenon also find commercial lighting applications. Krypton can be used in incandescent lightbulbs and in fluorescent lamps. Both are also employed in flashing stroboscopic lights that outline commercial airport runways. And because they emit a brilliant white light when electrified, they are used in photographic flash equipment. 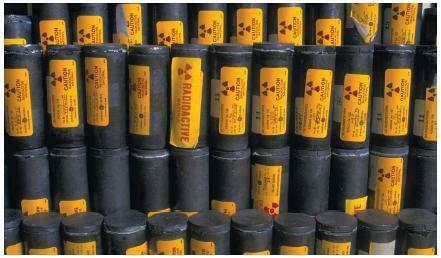 Due to the radioactive nature of radon, it has medical applications in radiotherapy. Some other uses for noble gases: Ar is used for optical and mass spectrometry as the plasma gas. Other noble gases are used for plasma spectrometry including He for improved detection limits of Cl. Current studies are being conducted to see if there are improved detection limits for any other elements on the periodic table with the use of other noble gases like Ne, Kr and Xe. The problem with Kr and Xe is that they r so darn expensive!!!!! Grear article!!!!! i am also doing a project on the noble gases for my AP chemistry classand this was a lifesaver!!!! Wow, your site was a life-saver! im making a mobile on the atomic structure of neon and giving a speech on facts about neon. I also found your website very helpful. thanks. . .. . .this website is so vey good!and i like this website...again thanks! Lifesaver 4 AP Class! Interesting facts, I 2 can't belive this stuff! Very Useful! does xenon have six energy levels? i need to know so i can pass this really gross chemistry crap.. thank you! How is argon prepared or extracted in the purest form? this article helped me so much. i spent so much time searching for a website that would help me find the uses for noble gases and i finally found it. thank you. I really like this article. I have never thought that the noble gases are not so common on Earth and that they have so many uses and properties,this article has shown me alot of facts and easier explainations so when i'm studying I have alot to work with. THANKS!!! Pls wat element in the noble gas group has a high power of fog penetration used in aerodrome beacons? @muyash. . . From this article, Helium is present in abundance in outer space, sun and stars. . .but not in the earth's atmosphere. . Thank you Tosin Ayodele for the use of Neon in Aerodrome beacon, it helped me in answering a Jamb question. Kudos to this article. great info with lots of intersting facts and i hope it will help you guys too. This website is utterly incredible all of this has helped me with my noble gasses classwork with miss hayes, so I just want to thank you so much. yours sincerely the arch bishop of Canterbury. Im also in 8th grade and this site helped me out alot doing my homwwork. this information had a very helpful Influence in my presentation in the university and harvard would love it.